When you think of crustaceans, you probably think of the big lobsters in the tank at the grocery store, but did you know that rolie-polies are crustaceans too? 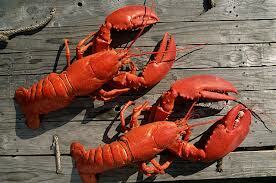 Most crustaceans live in the sea and include animals, such as lobsters and crabs. Two types live on land – rolie polies, also known as isopods, pillbugs or sowbugs, and crayfish. Rolie polies are covered with overlapping plates. They eat fungus and dying plants. They roll up in a ball to protect themselves. Crayfish look a little like lobsters, but they’re much smaller. They live mostly in fresh water streams and rivers. They sometimes come out at night on land to look for food. They eat plants, bugs and small animals. Both rolie polies and crayfish lay eggs. The mom carries her eggs on her back until they hatch. 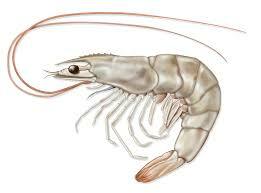 Crustaceans are arthropods. Their skeletons are on the outside of their bodies. 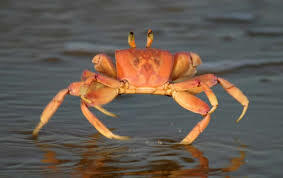 Crustaceans have jointed parts so they can move. They often have many legs. Shrimp, crabs, lobsters, barnacles and hermit crabs are all crustaceans. Crustaceans have two pairs of antennae. Crabs and shrimp can swim. Lobsters just scuttle about on the bottom of the ocean. Barnacles stick themselves to a hard surface like a rock or a boat and never move. Hermit crabs can’t make their own shells. They hide in shells left behind by other animals. Lobsters also belong to crustaceans. A documentary video about the lives of crustaceans in the reef. Question: How do crustaceans breathe? Answer: They have gills and get oxygen from the water just like fish. Question: Can people eat crustaceans? Answer: People all over the world eat crustaceans. The people of the world eat over 1 million pounds of crab every year. People also eat crayfish, lobsters and shrimp. Some people are allergic to shrimp and other crustaceans. They cannot eat these foods. The people of the world eat over 1 million pounds of crab every year. 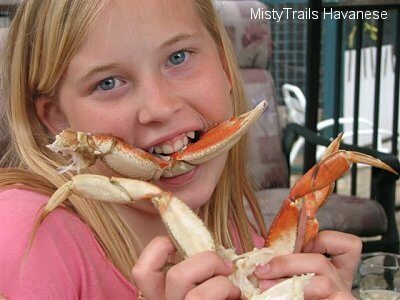 Enjoyed the Easy Science for Kids Website all about Crustaceans info? Take the FREE & fun all about Crustaceans quiz and download FREE Crustaceans worksheet for kids. For lengthy info click here. Declan, Tobin. " Fun Crustaceas Facts for Kids ." Easy Science for Kids, Apr 2019. Web. 18 Apr 2019. 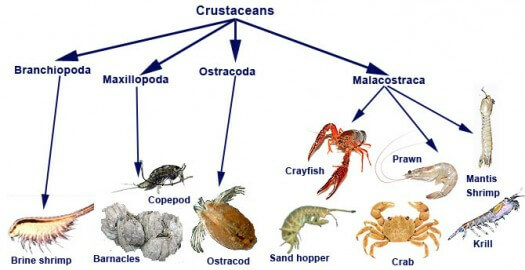 < https://easyscienceforkids.com/all-about-crustaceans/ >.